Bulletin boards are not just for display! 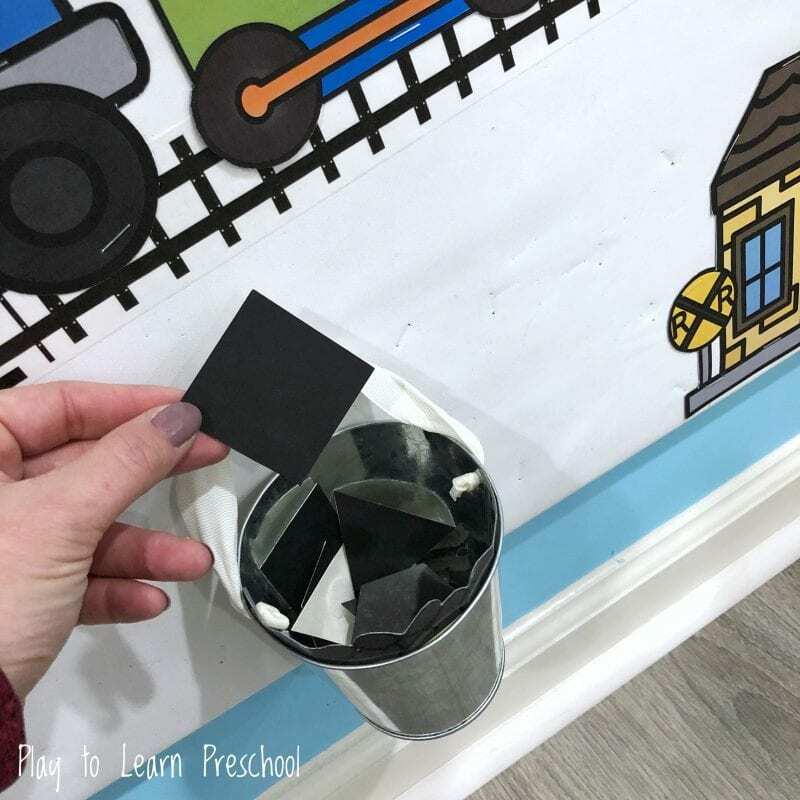 This interactive shape bulletin board is a fun and engaging way to teach 2D shape identification and sorting. 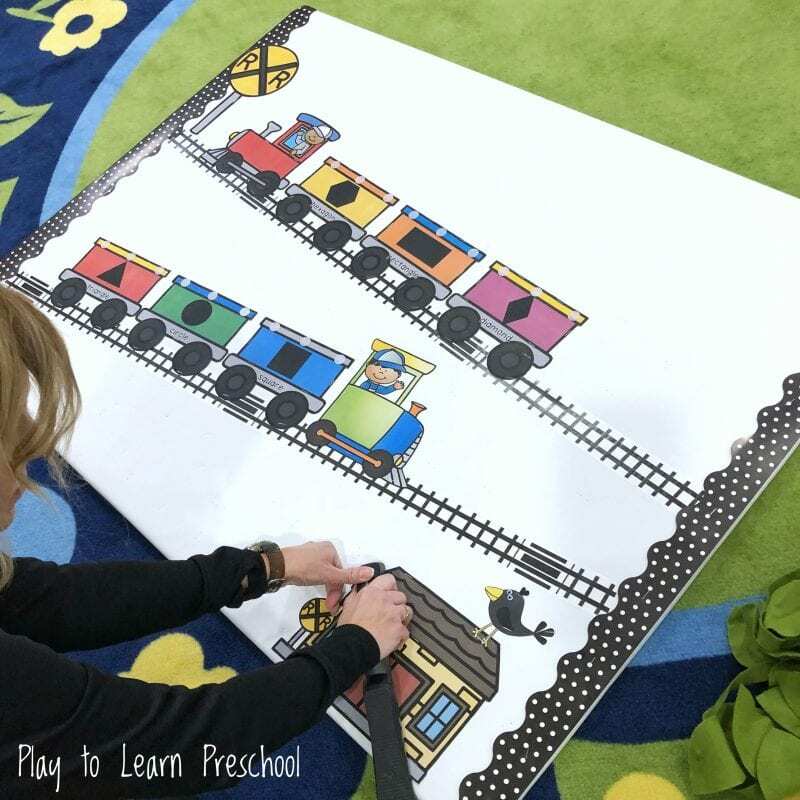 The adorable train cars and easy train track tape make it a popular learning center in any preschool classroom. 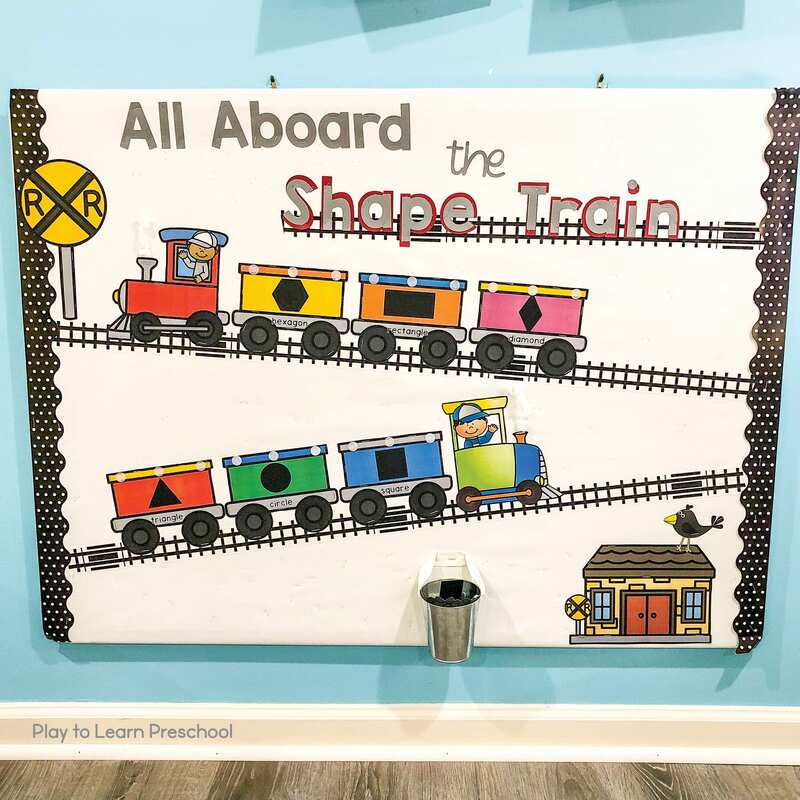 Bulletin boards at a child-friendly height can be used to develop important skills in a fun way. These vertical surfaces help develop muscles in hands important for writing while reinforcing other ideas, such as math, literacy, or science. 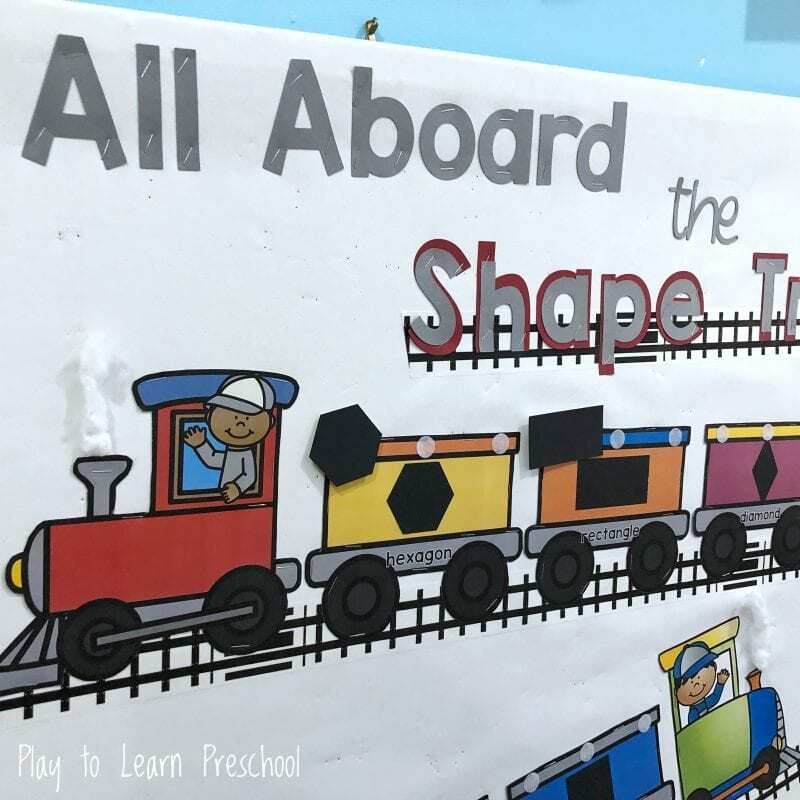 This board focuses on shapes, an essential math skill. Start by laying down some train track tape. 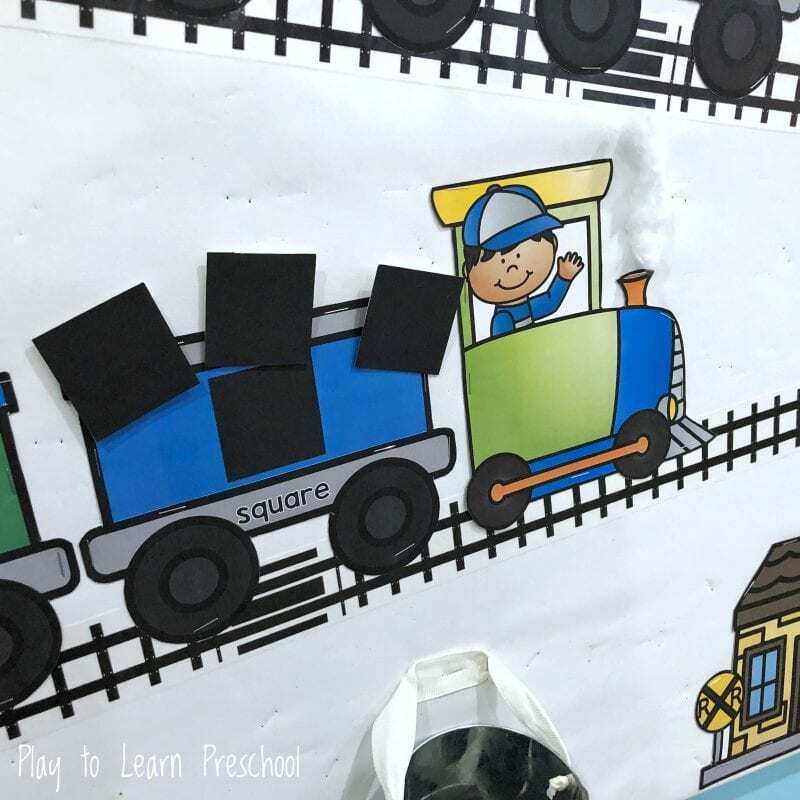 Alternatively, create tracks with black electrical tape or draw them on white construction paper. 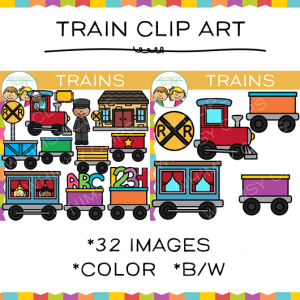 Print train clip art (from HERE). Identify each car with a different basic shape. The board in the picture includes a hexagon, rectangle, diamond, square, circle, triangle. 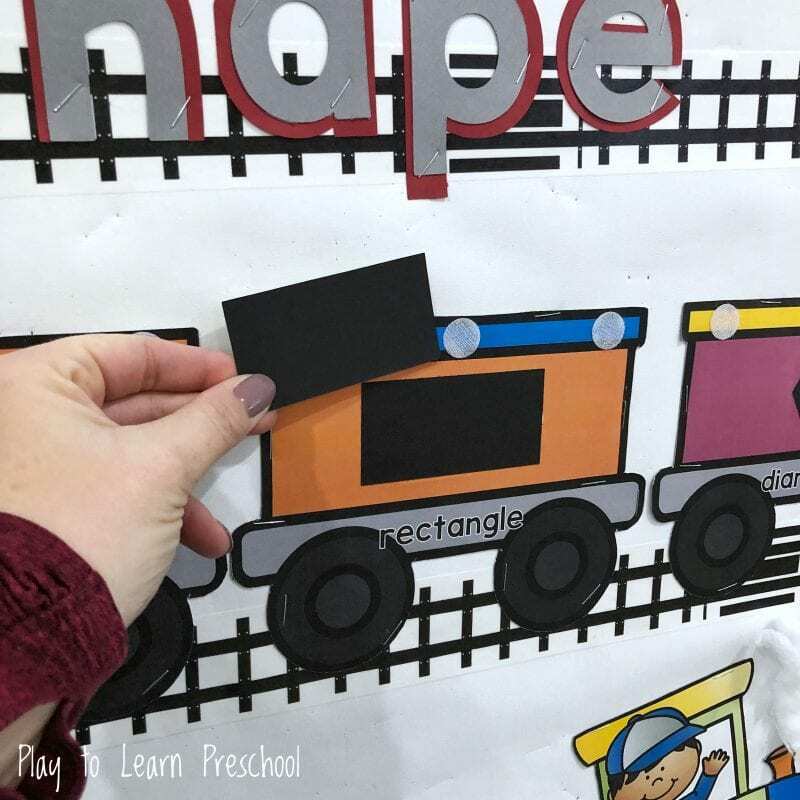 Cut different “coal” shapes out of black construction paper or cardstock. 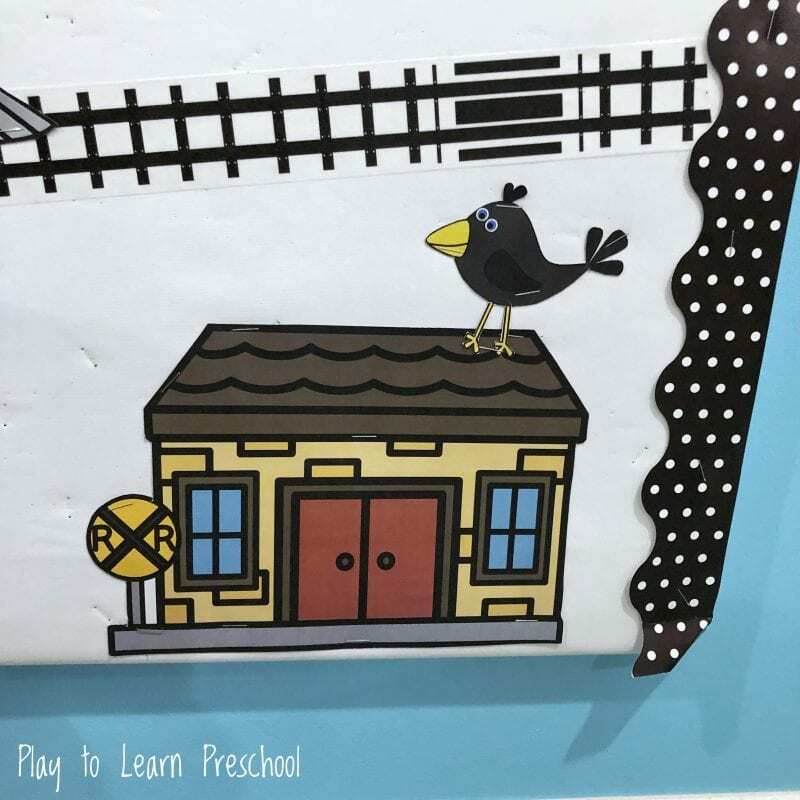 For an extra-fancy touch, add cotton ball smoke clouds coming out of the steam engine, a “Railroad Crossing” sign, and a train station. 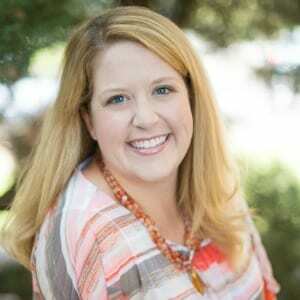 Increased social skills! Students can see each other working and often choose to work together on this activity. Language Practice! Working together encourages better communication, improved oral language skills, practice with negotiation, and it also helps to develop problem-solving skills. Have you made an amazing interactive bulletin board for your students? Take a photo and tag us on Instagram or post it on our Facebook wall. We would love to see it!